A timeless statement piece. 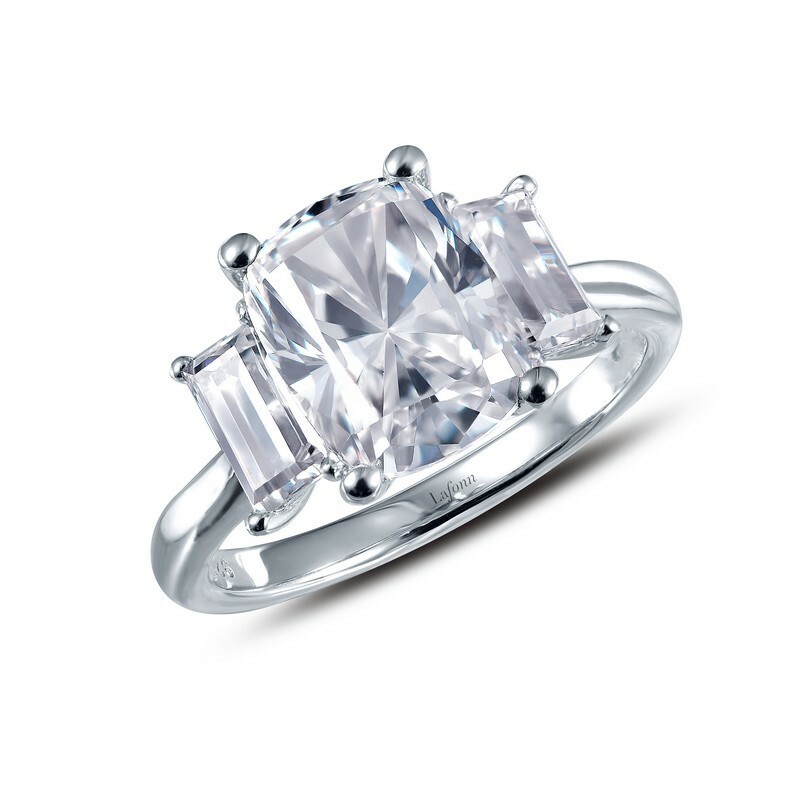 This radiant ring features an oval Lafonn Lassaire simulated diamond in the center with a single baguette on each side. It is set in sterling silver bonded with platinum.